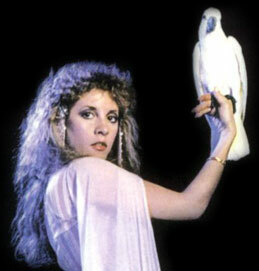 Stevie Nicks has been my favorite female musical artist for many years, and I have loved and listened to her music since Bella Donna was released in 1981. My site was exceptionally gratifying for me to design, due to the personal inspiration and the admiration I have for Stevie. 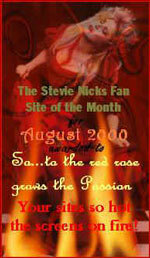 I am very honored to recieve this Stevie Nicks Fan Site Of The Month Award for August 2000.